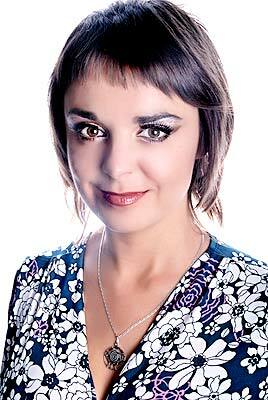 Poltava City Meeting - 51567 Yuliya Poltava (Ukraine) 43 y.o. I like pets, nature, active rest and sport, he very important for me to stay in a good shape. I like everything that keeps me active and makes me an interesting person for society. One of my hobbies is skating. Also I like travelling very much. I like to watch movies. What can I tell about myself? I possess a lot of positive qualities. I am kind, sociable, feminine and cheerful with a great sense of humor. I love kids very much and I want to have family. Priorities in my life have always been family, love and friendship. I am looking for an active, reliable, honest, intelligent man who likes sports, travelling and spending time with family. I want him to be also kind and not lazy as I am very active and do not like to lounge. I want to have an ideal man for me whom I will love with his highs and lows. I am looking for serious man, because I can't and don't want play games in such specific field as love. I can't play with human's feelings. If I like someone I am and will be only with this person and I will not interesting by someone else. if I don't like person and never be with him. I know it does some women to get money from men, eh, it is not good. I am not searching for rich man, I don't need it. I search for normal family oriented man, who wants be with his lady and cares each other.